I would like this book for Christmas. I have been very good this year. PS: do you want a beer with the cookies or milk? An amazing book of letters, offering new insight into Alexandra's mind and personality. Christopher Warwick's biography is sympathetic, realistic, and offers a compelling, detailed portrait of Grand Duchess Elisabeth. Unfortunately, neither of these books were translated into English, although both deserve English translations. Erinnertes (Memories) is Grand Duke Ernst Ludwig's memoirs. Margaret Prinzessin von Hessen und Bei Rhein commemorates the life of the British-born and much loved member of the Hesse and by Rhine family. This book should be your Christmas present to yourself. If you have not read it, you should ... seriously. Cheques in sterling payable to "Mrs S M Woolmans" and to be sent to 12 Lockswood, Brookwood, Woking, Surrey, UK, GU24 OHL. Payment can be accepted by PayPal for overseas attendees. Further details from royalweekend@gmail.com or call 0044 (0) 208 319 0696. The official coming out party for Lady Pamela Hick's second volume of memoirs. Daughter of Empire has been published by Weidenfeld & Nicolson in the UK. In 2006, Jonathon Petropolous wrote Royals and the Reich, a largely definitive book on the German royals, especially members of the Princely house of Hesse, who were active and willing Nazis. 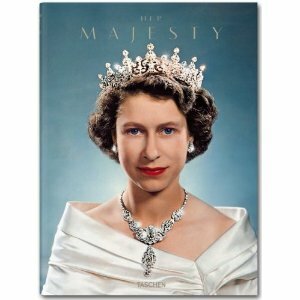 Royals and Reich is a major achievement, a fantastically researched book. 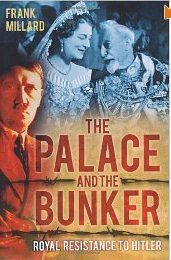 One would have hope that Frank Millard's The Palace and the Bunker, which is subtitled Royal Resistance to Hitler, would be the companion, the other side of the story, to Royals and the Reich. Sadly, the book is not the same league. A real disappointment. Millard's book is divided into two parts. The first part focuses on led to the rise of National Socialism and the growth of German resistance. The princely resistance fighters form the second part of the book: Prince Louis Ferdinand of Prussia, Crown Prince Rupprecht of Bavaria, Prince Hubertus of Lowenstein-Wertheim-Freudenberg, and several Habsburgs and Hohenbergs. This book is poorly written, poorly researched, and very disjointed. Millard tends to ramble a lot, and he largely relied on English sources despite the fact that many of the primary sources for the history of this time period are in German and other European languages. And then there are the really bad mistakes that an editor should have caught. Millard writes that that Prince Louis Ferdinand was offered British citizenship after the war "as he was a descendant of Queen Victoria." Prince Louis Ferdinand would not have been entitled to British citizenship due to his descent from Queen Victoria. He was a British national by virtue of his descent from the Electress Sophia of Hanover. King Haakon VII is described as the younger brother of the King of Sweden, when in fact, Haakon was the younger brother of King Christian X of Denmark. Millard identifies Prince Bernhard of Lippe-Biesterfeld as Queen Wilhelmina's husband, rather than her son-in-law. At least, Millard got the year right for Bernhard's wedding, but he married Wilhelmina's only daughter, Juliana. 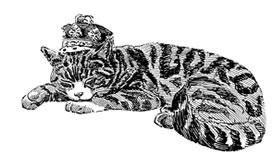 Prince Louis Ferdinand is said to be Crown Princess Cecilie's grandson. He was her second son. The Palace and the Bunker is a simplistic effort about about a complex period in European history. The resistance princes deserve something better. The book was published by the History Press (£16.99). I am puzzled by Millard having a Ph.D in history. I hope this book was not his dissertation. I do recommend Royals the Reich﻿, a masterful and scholarly work.